LT Moore is a friend, a fellow author and blogger, and I’ve even critiqued one of her stories (not this one). She’s even credited me with encouraging her to self-publish, although I maintain that Jolene Perry is to blame. You may think that makes me hopelessly biased when it comes to a review of her debut self-published novel The Truth About Faking. But all those things wouldn’t keep me up half the night, desperate to see how the story ends, or have me biting my nails through half of it, worried that something will happen to a character that I’ve known for exactly 5 hours and am already in love with. That’s something only a fantastic story and a great writer can do. Leigh takes us to the mythical Southern town of Shadow Falls, where people leave their doors unlocked, the streets are wide and quiet, and the Presbyterian Church looms large, especially for Harley, given she’s the preacher’s daughter. But all the stereotypes those images conjure are turned upside down by Leigh as she brings this small-town to life with characters like a super-hot massage therapist for a mom and cranky Mrs. Bender who speaks inappropriately about bodily processes. 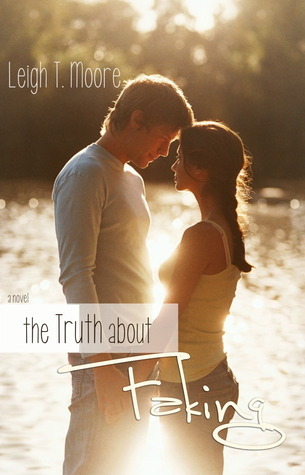 Leigh delivers a touching story of adolescent love, confusion, and love-confusion. She’s masterful with dialogue, which is the key to making these characters both realistic and endearing. But the best part of the story is when the secret lives of these small-town characters are exposed, and we realize not only are things not always what they seem, but that leaping to conclusions can break hearts and ruin lives. Leigh makes us love her characters, then makes us stay up all night reading to make sure they end up okay in the end. Which is exactly what a great story should do. You can buy The Truth About Faking on Amazon and Barnes and Noble. Just make sure your calendar is clear for the day. What a beautiful cover! And the story looks wonderful, too. Adding this to my TBR pile. I read this in two nights! I absolutely loved it! The characters and dialogue were so realistic and likable! Awww. Great review Susan! Go Leigh and TTAF!! !